This AZ Petrified Iron Wood slab measures 3 1/4 x 2 3/4 inches. Stand not included. This item ships free anywhere in the continental USA. This AZ Petrified Iron Wood slab measures 2 3/4 x 2 1/4 inches. Stand not included. This item ships free anywhere in the continental USA. This AZ Petrified Iron Wood slab measures 2 3/4 x 2 1/4 inches. Stand not included. Item ships free anywhere in the continental USA. This AZ Petrified Iron Wood measures 3 x 3 inches. Stand not included. This item ships free anywhere in the continental USA. This AZ Petrified Iron Wood slab measures 3 1/4 x 3 inches. Stand not included. This item ships free anywhere in the continental USA. This AZ Petrified Iron Wood Slab measures 3 1/2 x 2 1/2 inches. Stand not included. This item ships free anywhere in the continental USA. This AZ Petrified Iron Wood slab measures 3 x 2 1/2 x 1/2 inches. Stand not included. This item ships free anywhere in the continental USA. 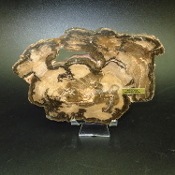 This small AZ Petrified Iron Wood slab measures 2 1/2 x 2 x 1/4 inches. Stand not included. This item ships free anywhere in the continental USA. This AZ Petrified Iron Wood slab measures 3 x 3 x 1/4 inches. Stand not included. This item ships free anywhere in the continental USA. This AZ Petrified Iron Wood slab measures 4 x 2 3/4 x 1/2 inches. Stand not included. This item ships free anywhere in the continental USA. This AZ Petrified Iron Wood slab measures 3 1/2 x 2 3/4 x 1/4 inches. Stand not included. This item ships free anywhere in the continental USA. 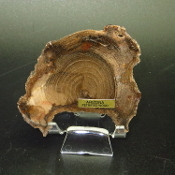 This small AZ Petrified Iron Wood slab measures 2 3/4 x 1 5/8 x 3/8 inches. Stand not included. This item ships free anywhere in the continental USA. This AZ Petrified Iron Wood slab measures 2 3/4 x 1 3/4 x 3/8 inches. Stand not included. This item ships free anywhere in the continental USA. 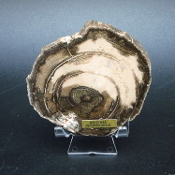 This small AZ Petrified Iron Wood slab measures 5 1/4 x 4 1/8 inches. Stand not included. This item ships free anywhere in the continental USA. 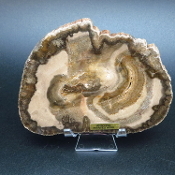 This small AZ Petrified Iron Wood slab measures 4 1/4 x 3 7/8 inches. Stand not included. This item ships free anywhere in the continental USA. 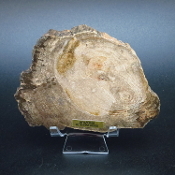 This small AZ Petrified Iron Wood slab measures 3 1/2 x 3 1/4 inches. Stand not included. This item ships free anywhere in the continental USA. 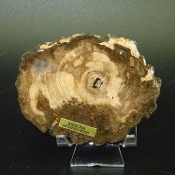 This small AZ Petrified Iron Wood slab measures 4 x 4 inches. Stand not included. This item ships free anywhere in the continental USA. 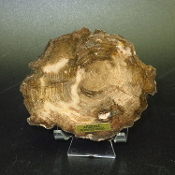 This small AZ Petrified Iron Wood slab measures 4 7/8 x 4 1/8 inches. Stand not included. This item ships free anywhere in the continental USA. This small AZ Petrified Iron Wood slab measures 3 3/4 x 3 7/8 inches. Stand not included. This item ships free anywhere in the continental USA. 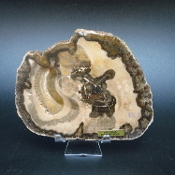 This small AZ Petrified Iron Wood slab measures 3 1/4 x 3 inches. Stand not included. This item ships free anywhere in the continental USA. 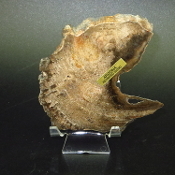 This small AZ Petrified Iron Wood slab measures 3 3/4 x 3 1/2 inches. Stand not included. This item ships free anywhere in the continental USA. This small AZ Petrified Iron Wood slab measures 3 3/4 x 3 inches. Stand not included. This item ships free anywhere in the continental USA. 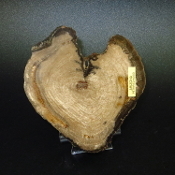 This small AZ Petrified Iron Wood slab measures 4 1/2 x 3 1/8 inches. Stand not included. This item ships free anywhere in the continental USA. 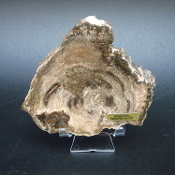 This small AZ Petrified Iron Wood slab measures 6 1/8 x 4 1/4 inches. Stand not included. This item ships free anywhere in the continental USA. 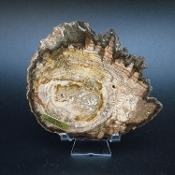 This small AZ Petrified Iron Wood slab measures 3 1/4 x 2 1/2 inches. Stand not included. This item ships free anywhere in the continental USA. 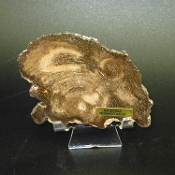 This small AZ Petrified Iron Wood slab measures 4 x 3 1/2 inches. Stand not included. This item ships free anywhere in the continental USA. 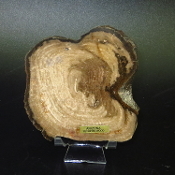 This small AZ Petrified Iron Wood slab measures 5 x 4 inches. Stand not included. This item ships free anywhere in the continental USA. 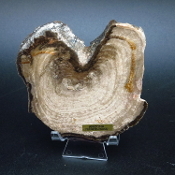 This small AZ Petrified Iron Wood slab measures 3 3/4 x 3 1/4 inches. Stand not included. This item ships free anywhere in the continental USA.